Didn’t you always hate that phrase growing up? Inevitably, at some point in your life, you heard it. Maybe you asked your parents for permission to do something that EVERYBODY else was getting to do, and they said no. 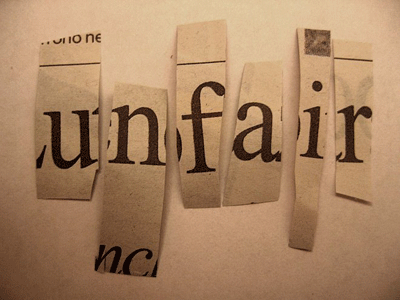 You of course responded with…”that’s not fair!” And they of course responded with, you guessed it…”LIFE’S NOT FAIR.” It’s one of those things we’ve all heard over and over throughout our lives, and as we grew up, like it or not, we realized the truth found in that statement. Maybe now that you’re older, you might have even said it to your kids. The fact that life’s not fair is nothing new. Look at the parable Jesus tells in Matthew 25:14-30. Here you have a story about 3 guys, who are dealt 3 very different hands. One is given 5 bags of gold, one is given 2 bags, and one is only given 1. Now that doesn’t seem very fair does it? Seriously, if the owner had wanted to be fair, he would have given each of them an equal opportunity, right? But the fact is, he didn’t. He’s the owner, so he gets to decide how it’s divided up! Fair? NO! But remember, LIFE’S NOT FAIR. In our society, we have a bad habit of blaming our circumstances, and situations for the reasons we say and do certain things. We tend to play the victim card more often than not. But the truth is, you aren’t held accountable for your circumstances. You are held accountable for how you respond to whatever circumstances you are placed in! While life isn’t fair, and that is very true, you aren’t held accountable for the hand you are dealt in life. But you ARE held accountable for how you respond to that hand. Take the guy who was given 2 bags of gold for example. He could have played the victim card, and whined, and complained for not getting five bags of gold. He could have easily said “that’s not fair.” But he didn’t. He RESPONDED to his circumstances well. He did well with WHATEVER it was he was given. He responded very different than the guy who only received 1 bag of gold. If the guy who had received only ONE bag would have simply responded well, despite his circumstances, he would have shared in the reward. Because the man with only 2 bags responded to his unfair situation well, he shared in the same reward as the man who had been given 5 bags. Here’s the point. We take RESPONSIBILITY by working on our RESPONSE-ABILITY, the ability to respond well in any situation we are placed in. The truth of the matter is, the world we live in is unfair. Good things happen to bad people and bad things happen to good people. It’s just reality. But while we understand that life may not be fair, we are still held accountable to how we respond to seemingly unfair situations, or hands we are dealt in life. Hey Guys, so it’s winter time, and even though it hasn’t been the coldest of winters, it’s still a wee bit nippy to get in a pool. Having said that, with everyone being held at bay by the frigid waters, you might feel tempted to try and get in the summer spirit and continue acting as though it IS summer. You might even act as though you are in fact…in a pool. Do us all a favor, and DON’T. Why? Watch for yourself! 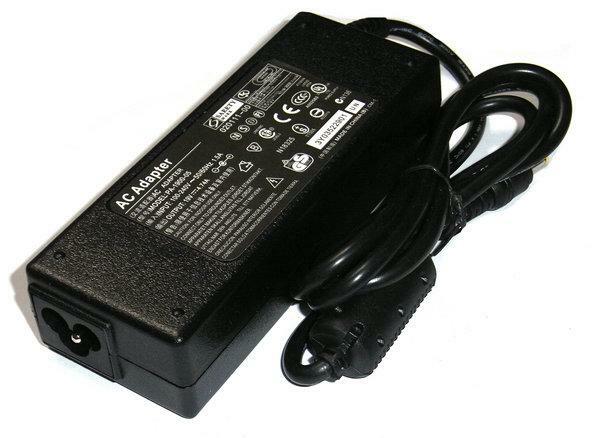 I’ve always hated carrying the power cables that go with my laptop around with me, just way too bulky! And since I don’t have a MAC, my laptops battery lasts me about as long as it takes to boot the thing up. So, I got into what I thought was the bad habit of leaving work, grabbing my laptop, and leaving the power charger at the office. Of course, you guessed it…I get home, find a minute to get working, and about an hour into it, my laptop dies, and work is no longer an option. Here lately though, I have begun to leave my power charger at the office intentionally. Why? Well, the temptation for me so often is to work round the clock, whenever I feel like a moment is free. The inherent problem: the job never ends! You know what I mean. We can always find something to do. And I inevitably end up missing out on important times of rest, and important time with my own family. But this way, with the charger still at the office, whether I finish or not, I’m forced to drop the work, and pick it back up later! It’s almost like leaving the charger is a guardrail for my life, that forces me away from making decisions that will leave me in a relational ditch. So, for those of you who feel like you always need to work, let me challenge you with something…LEAVE THE CHARGER!!! Making sure you remember that time spent taking care of yourself, and your family is crucial to the life of any Christ follower! My prayer is this…that we keep “leaving the proverbial charger,” or whatever it may be, so we can be the effective people God has called us to be…in our work, in our church, and in our homes! Never forget, God set the example for us in the beginning, when after six days of work, he rested. He didn’t need to rest, HE’S GOD! I don’t think he was particularly tired. But he did it to show us the importance of stopping work, and making what’s important a priority. Let’s never forget this example!